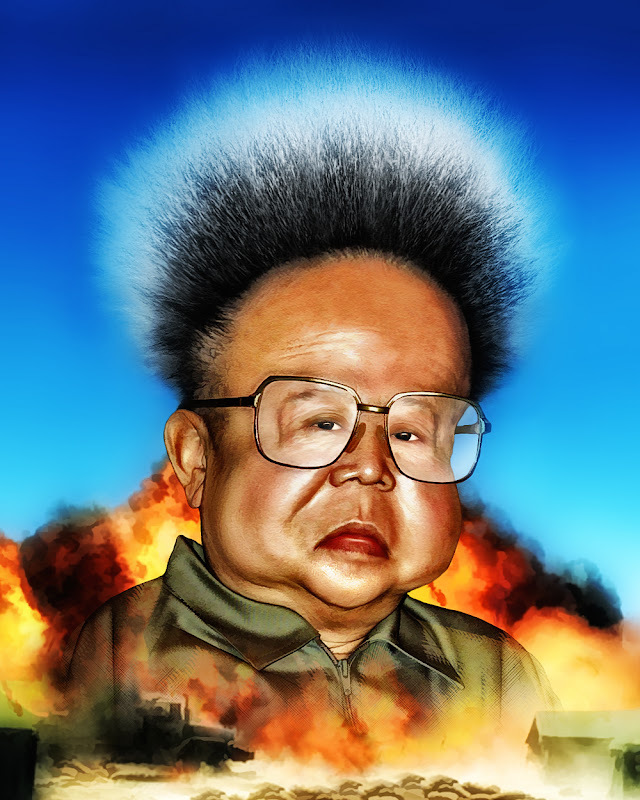 A Kim Jong-il caricature epitomized by an exploding hair style, where threatening to conduct a nuclear test results in renewed food aid to the mad hermit nation. According to South Korea's biggest-selling newspaper Chosun Ilbo, US satellites detected movements of personnel and vehicles at the site where the the North carried out its first two nuclear tests in 2006 and 2009. A pair of freighters sailed Monday night from South Korean ports bearing the government's first donation of food for North Korea since the decade of the Sunshine policy of reconciliation when South Korea annually shipped hundreds of thousands of tons of food and fertilizer to the impoverished North.